Yikes! Lately I’ve been thinking a lot about kissing. Oh get a grip! It’s because of the recent kissing research released to the news media – not because I’m looking to recapture my youth with a few wild adventures of unabashed spit swapping. But then again, would that be so bad? Well, yes it just might be. According to what I read last week, every time you pucker up with a good old-fashioned smooch, you introduce 80 million new bacteria into your mouth. Now that’s a cringe-worthy thought. Make it burn: I’m not saying that kissing is all bad. Good grief no! 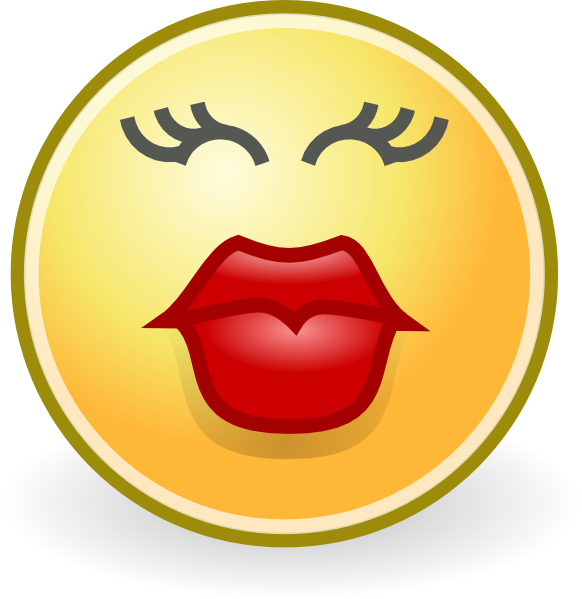 You get to burn 6.4 calories per minute by locking lips and you use 146 muscles when you do it. So that’s got to be a good daily exercise, filled with all sorts of perks. And what a great way to kiss, kiss, kiss your way into (and out of) your skinny jeans. Some anonymous person once said that kissing is like peeing your pants. Everyone can see it but only you can feel the heat. Learned or instinctual: So why do we do it? And does the whole world of humans feel this heat in their drawers when they inject saliva into each other’s mouths? Earlier research indicated that 90% of the world’s population engaged in the activity of kissing. But new research now finds that less than half of the world’s cultures kiss in a romantic way. And the rest of us that do, spend an average of 20,000 minutes or 2 weeks of our lives in mouth to mouth action. Kissing cultures: Of 168 cultures studied, only 77 cultures did it and 91 did not. And of the 77 cultures who did, only 46 kiss in a romantic sense: North America 55%, Asia 73%, Europe 70% – and it was the norm in the Middle East although in private only, but no smoochers were found in Central America. We kiss for all kinds of reasons; comfort, passion, affection, bonding, making up, or just for no reason at all because it feels good. Lips and tongues are packed with nerve endings, so when those nerve endings intensify, we don’t want to think too hard about questioning our motives. Our brain functions drop into the lower extremities of our bodies…thus creating the aforementioned “peeing of the pants” scenario. Why we do it: The most widely accepted rationale about why we kiss is that it helps us sniff out a quality mate. So let that be a lesson for the poor slobs who dare eat garlic on date night – for they shall be cast out and disqualified. 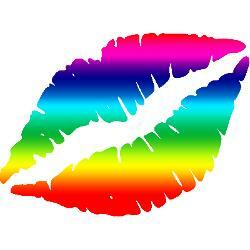 There are people who actually study kissing – they are called philematologists. I wonder if they are really good kissers? Do they experiment with a wide range of kissing partners? Or are they simply professional peepers; watching others doing the job while they study technique, nose placement, measure spit output etc., while they take copious notes. Either way, it’s rather creepy. Burning questions: And technique is everything ladies, we know that. We have all experienced the voracious kissers who make us question basic kissing etiquette. Like, what do we do when too much saliva enters your mouth when he locks onto your face like a large mouth bass? Is it polite to spit it out? Wipe your mouth on your sleeve, or his? Tell him you’re entering the convent and can’t ever see him again? According to the Rights of Kissing in the Modern Age Handbook, all of the above are totally acceptable responses. and all because he kissed me good-night.